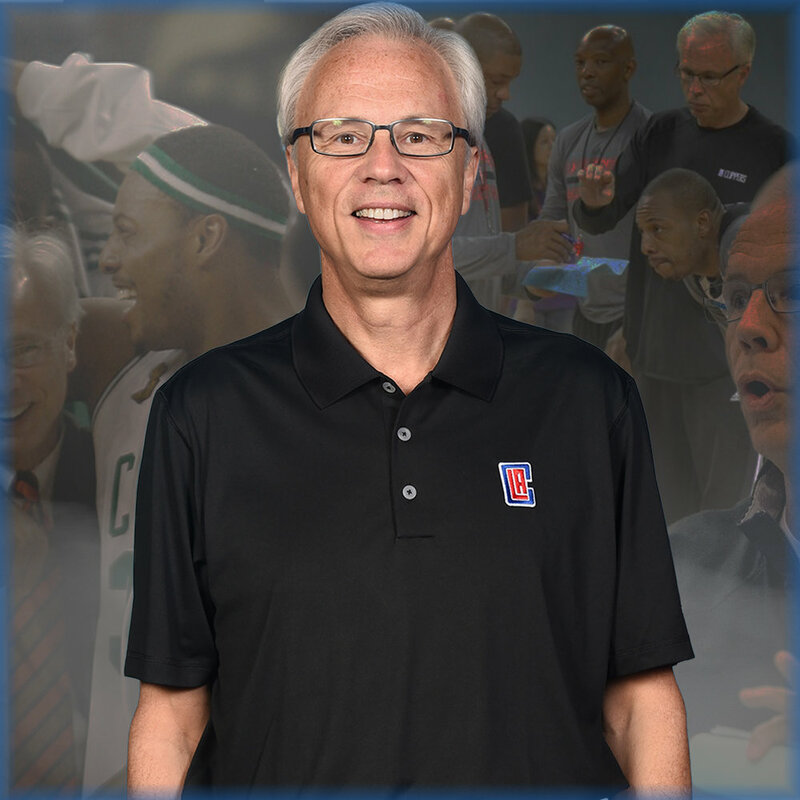 Over his 40 years in the game of basketball at the collegiate and professional levels, Kevin Eastman has studied what makes the best The Best -- their habits, mindsets, strategies and every day choices. Eastman has 13 years in the NBA as an Assistant Coach for the Boston Celtics, The Los Angeles Clippers VP of Basketball Operations, and Los Angeles Clippers Assistant Coach. Eastman won an NBA World Championship with the Boston Celtics in 2008 and has been apart of the coaching staff 2 NBA All Star Games in 2008 and 2010. Eastman was also elected to The High School and College Hall of Fame –Haddonfield Memorial HS (NJ) and University of Richmond (VA). Known as a thought leader in the basketball and sports worlds, Eastman is now an engaging speaker who inspires a wide range of audiences, from sports teams to diverse corporate groups. What sets Eastman apart from many other speakers is that he has lived in the world of the best while observing and studying them every day. His curiosity and dedication to learning provide the backdrop for delivering powerful talks on leadership, culture, teamwork and why the best are The Best. One of the most successful coaches in the country, Head Coach Rick Byrd has been a model of consistency in leading Belmont's transition from an NAIA institution to a perennial headliner and championship program in NCAA Division I. Under Byrd, Belmont has reached postseason play in 11 of the last 12 seasons, including seven automatic berths to the NCAA Tournament. Since 2003, only Kansas has more conference victories than the Bruins (235). In addition, Belmont is one of only 12 NCAA Division I programs to win 19 or more games 12 consecutive seasons (Akron, BYU, Duke, Gonzaga, Kansas, Louisville, Michigan State, North Carolina, San Diego State, VCU and Wisconsin).The Bruins have victories over the likes of North Carolina, Stanford, Marquette, Georgia, Alabama, Cincinnati and Missouri, among others, to its credit. Byrd is first among all active NCAA Division I men’s basketball head coaches (min. 10 years at school) when ranked by percentage of schools’ all-time wins; having accounted for nearly 70 percent of the total victories in Belmont history. Rob Lanier has spent three seasons as associate head coach at Tennessee. Tennessee was picked to finish 13th in the 14-team SEC prior to the 2017-18 campaign, but Lanier’s leadership and experience was instrumental in guiding the Big Orange to the regular-season SEC Championship, the title game of the SEC Tournament, a No. 3 seed in the NCAA Tournament and a 26-9 record (third-most wins in program history). The Vols also were one of only eight “Power Five” programs to win at least 13 games away from home in 2017-18, leading to a year-end RPI of No. 10 while playing the 11th-toughest schedule in the country. A highly effective communicator and relentless tactician, Lanier has handled the scouting duties for Tennessee’s four wins over highly-rated Kentucky teams over the last three years. A four-year letterman at North Carolina, Lebo played for legendary coach Dean Smith and was part of a Tar Heel program that posted a 116-25 record during his career, captured a pair of ACC regular season titles and won the 1989 ACC Tournament title. Lebo has 2o years of experience at the Division I level where he has produced success with numerous programs. Prior to taking the reigns at East Carolina where he became he winningest coach during the program’s Division I history, which dates back to 1965. In six years as a collegiate head coach Lebo turned around programs at Tennessee-Chattanooga and Tennessee Tech en route to a 115-63 combined record at those institutions. A pair of Ohio Valley Conference titles and a trip to the NIT quarterfinals dotted Lebo's ledger at Tennessee Tech. Lebo was honored with three consecutive OVC Coach-of-the-Year awards for his unprecedented success at Tennessee Tech. In addition, he was named the National Association of Basketball Coaches (NABC) District 7 Coach-of-the-Year and the Tennessee Coach-of-the-Year at the conclusion of the 2001-02 season. He spent the first 12 years of his head coaching career restoring programs at Tennessee Tech, Tennessee-Chattanooga and Auburn leading two teams to the NIT Tournament, before he was named ECU's head coach. Lebo later resigned after the 2016-17 season. Seth Greenberg joined ESPN in 2012 as a college basketball analyst, bringing 35 years of coaching experience to the job. He appears on various platforms, most often as a game or studio analyst, and is a regular on SportsCenter and ESPN Radio. At the start of the 2014-2015 season, Greenberg joined ESPN’s College GameDay – the popular Saturday college basketball program that originates from the Saturday Primetime game-of-the-week telecasts – as an analyst. 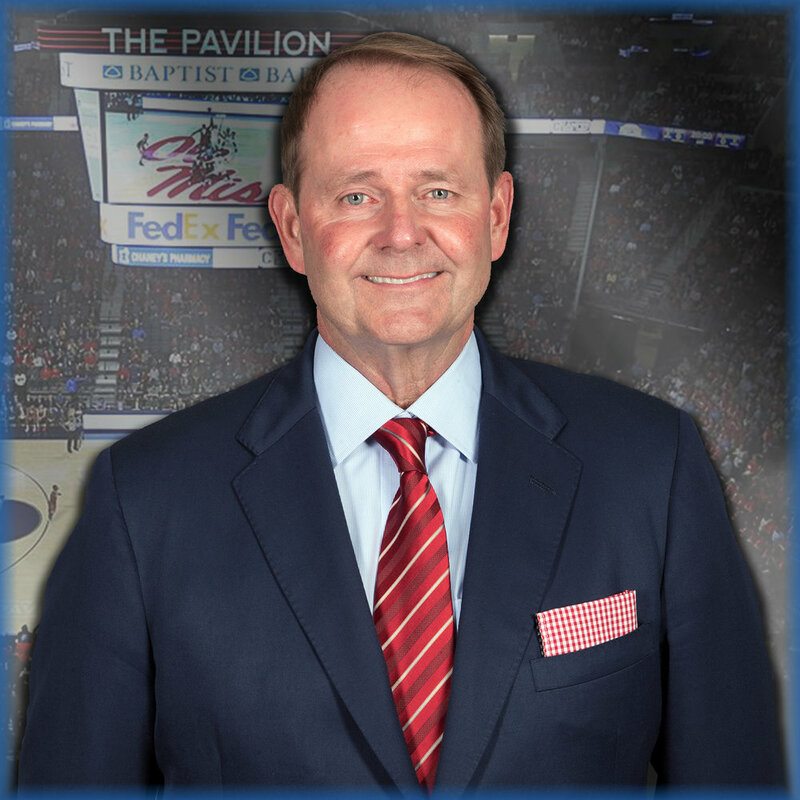 After leading Middle Tennessee to conference championships and NCAA Tournament runs, Kermit Davis returned to his home state as the 22nd permanent head coach of the Ole Miss basketball program, as announced on March 15, 2018. Davis guided the Blue Raiders to league titles in seven of his last nine years in Murfreesboro, between Conference USA and the Sun Belt. Middle Tennessee is one of five programs he has led to conference championships in 36 years as an assistant and head coach. Under Davis’ watch, Middle Tennessee made the 2013, 2016 and 2017 NCAA tournaments and defeated No. 2 seed Michigan State and No. 5 seed Minnesota in back-to-back seasons. Middle Tennessee was a giant killer under Davis, posting a 12-11 record against seven different Power 5 teams from 2012 through 2018. Over the final three seasons, the Blue Raiders boasted a 7-1 record against the SEC and Big Ten, including the two NCAA Tournament wins. Defense has long been a staple for Davis’ squads, as the Blue Raiders ranked top-two in C-USA in scoring defense in each of his final four seasons. That style of play has correlated to tremendous success on the road, including 23-3 record away from home over his last two campaigns. An eight-time conference coach of the year, Davis is 34th among active Division I head coaches with 403 career wins. Jason Zimmerman was named the fourth head coach in the history of Emory men's basketball in April of 2007. In his 10 years of calling the shots for the Eagles, Zimmerman has compiled won-lost ledger of 171-92. Zimmerman holds the program's record for most wins as head coach. Over the last eight seasons, Zimmerman has guided Emory to four of the program's five campaigns of 20 or more wins (20 in 2010-11, 20 in 2012-13, 22 in 2014-15 and 20 in 2015-16). The Eagles' mentor has posted an 80-60 ledger in University Athletic Association contests, including a 75-37 effort (.669) over the last eight seasons with the victory total the second-highest among league squads in that stretch. Emory has finished third or higher in the UAA standings in each of the past eight years and has won league titles in 2013, 2015 and 2016. Zimmerman was a four-year letterwinner at Davidson where he concluded his career as the school's No. 18 all-time leading scorer with 1,260 points. One of the top players in the Southern Conference, he finished fourth in career free throw percentage and seventh in career assists, and was a member of Davidson's 1994 NIT team. Lennie Acuff has completed his 21st season at the helm of the UAH men’s basketball program and during that time, the Chargers have grown into a national power. While at UAH, Acuff owns a 413-206 record to boast an overall record of 530-317 in 28 seasons. Under Acuff the Chargers have enjoyed 19 winning seasons, appeared in the Gulf South Conference tournament 17 times, won eight GSC regular season titles, captured three GSC tournament championships, and earned 10 trips to the NCAA tournament. For his efforts, Acuff has been named the NABC District Coach of the Year four times (2000, 2011, 2012, and 2013), and he has been honored as the GSC Coach of the Year a conference-record eight times (1999, 2003, 2005, 2010, 2011, 2012, 2015, and 2016). Two of Acuff’s trips to the NCAA tournament resulted in Elite Eight appearances as the Chargers won the NCAA South Regional in both 2011 and 2012, and the national quarterfinal berths were part of a terrific span of success that saw UAH in the national polls for 44 straight weeks including a No. 2 ranking to end the 2011-12 season. 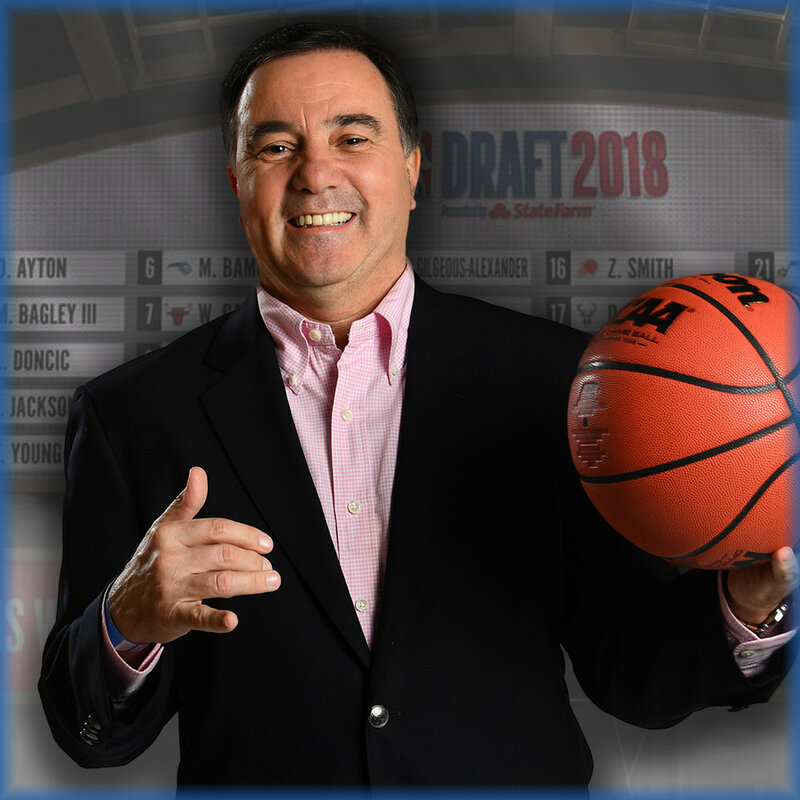 Fran Fraschilla joined ESPN as a college basketball game and studio analyst in 2003. He serves as an analyst primarily on Big 12 men’s basketball games, is a staple on ESPN’s coverage of the NIT and a regular on ESPN and ESPNU studio shows. In addition to men’s college basketball, Fraschilla previously worked an analyst on ESPN’s NCAA Division I Women’s Basketball Championship coverage from 2007-14. Fraschilla also provides commentary for the NBA Draft, the FIBA Basketball World Cup and has covered the NBA and high schools basketball. Bob Richey was named Furman University’s 22nd head men’s basketball coach in April of 2017. Richey recently completed his sixth season as a member of the Paladin coaching staff, helped Furman to a school record-tying 23 total victories and 14 Southern Conference wins this past season, while the program earned a share of its first Southern Conference regular season championship in 21 years and a trip the CollegeInsider.com (CIT) Postseason Tournament semifinals. The 2016-17 Paladins, who also won a school record 12 road games, notched back-to-back postseason appearances for the first time since 1974-75, and captured postseason victories in consecutive seasons for the first time in school history. Richey, who has served as position coach for the Paladins’ guards since joining the Furman staff prior to the 2011-12 campaign, has recruited and developed back-to-back Southern Conference Players of the Year. 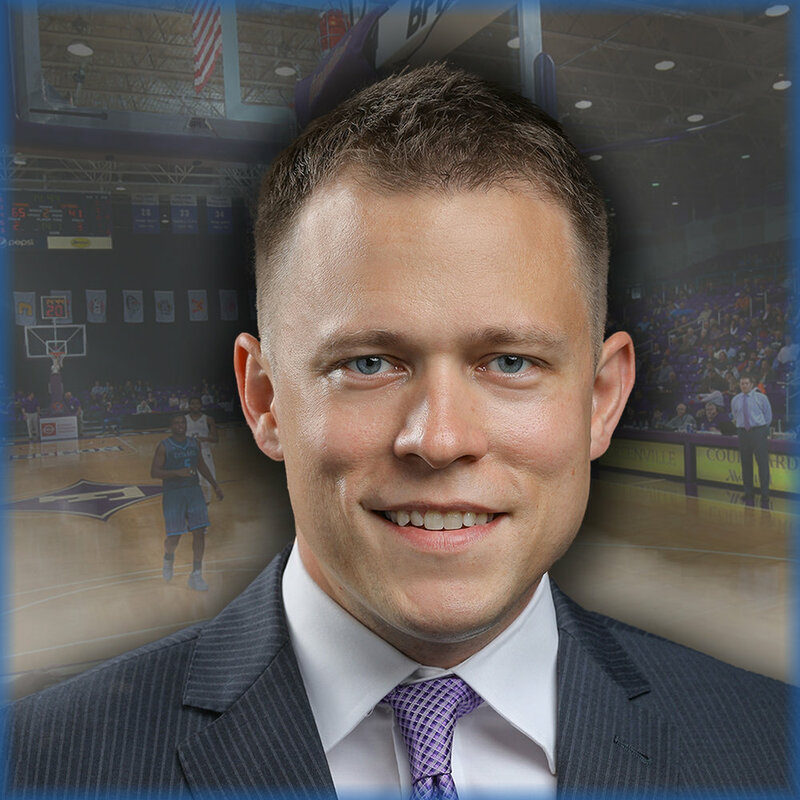 In 2016, Richey played a key role in Furman’s return to the postseason as the Paladins fashioned a 19-16 overall record, finished third in the SoCon with an 11-7 mark, and advanced to the second round of the CIT with a buzzer-beating victory over Louisiana Monroe at Timmons Arena in first round action. Furman won a school record 14 home games, including 11 in a row.